So, the wait has met its fate. We have the first ever Calling Tab from Asus. If you thought this is the only surprise then read a few words more until you find out that it will not cost you more than Rs 16,000 to you. Isn’t it great? We have seen a lot of big players trying their brand names to in cash the budget segment, which indeed is the biggest segment in India and countries alike. Asus has played a very careful tact by launching this calling Tab much before than any of its natural competitors in this budget Tab segment. 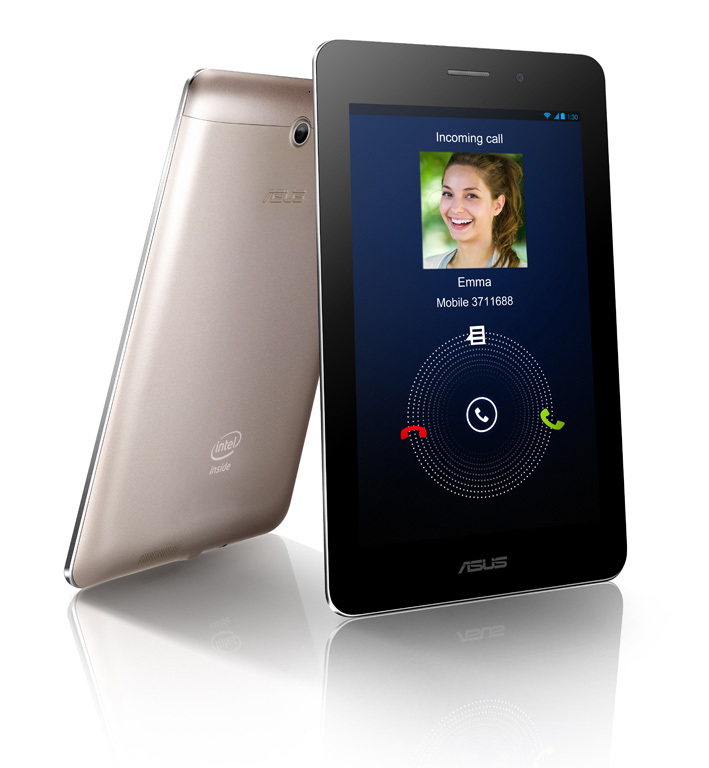 This Asus Tab runs on the latest Android’s Jelly Bean and its processor and RAM are 1.2 Ghz and 1GB respectively. With dual camera and crisp 1280×800 pixel resolution, the Tab has a lot to offer and much more.